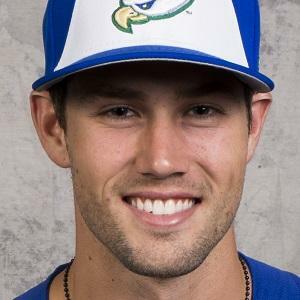 Middle-infielder for the Florida Gulf Coast University baseball team who was a nominee for the 2015 Preseason Atlantic Sun Conference Defensive Player of the Year. He played baseball at Riverview High School before attending Coastal Carolina University. He played two seasons there (2012, 2013) before transferring to Florida Gulf Coast University. He is a communications major with a business minor. He was born and raised in Sarasota, Florida to parents Brian and Deborah Pruett. He has siblings named Madeline and Jared. He played ball at FGCU like MLB All-Star Chris Sale.